Dyneema® is the strongest fibre in the world. 10 times stronger than steel, and 7 to 10 times lighter than a steel wire of equivalent size, Dyneema® is one of the most durable and sought-after materials on the sailing market. No stranger to the benefits of Dyneema®, we have covered its various uses in previous blogs… e.g. would you trust Dyneema® with your lifelines? However – in a first for upffront.com – we are now stocking specialist Dyneema® covers online! 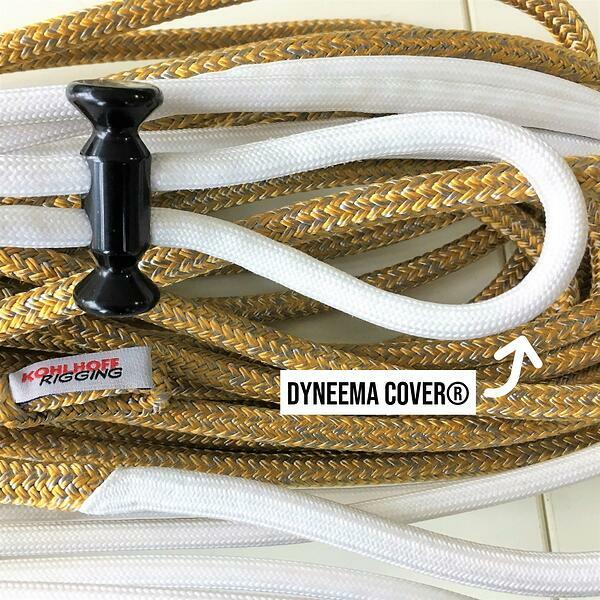 Although professional riggers tend to have heaps of Dyneema® braided cover lying around, the average sailor does not. This is largely because it can be hard to get your hands on... Yet, at upffront.com we recognise that Dyneema® cover (i.e. the cover of a rope without a core!) is extremely useful for a variety of purposes on your boat's running rigging, and a perfect addition to your onboard ‘tool kit’. The other reason covers are not more commonly used is that there are a large variety available and unless you are a professional rigger, the options and nomenclature can seem complicated. Gottifredi Maffioli’s extensive range of covers are identifiable by a 7-digit code and are available in black or white. Let’s take for example their code 2x1x48L. 3x3x32 XL vs. 2x3x32 XL Comparison: 3 threads vs. 2 threads. All threads have 3 yarns and are thus all the same size. To put things into perspective, we have divided the Gottifredi Maffioli range into lightweight covers with x1 twisted yarn (e.g. 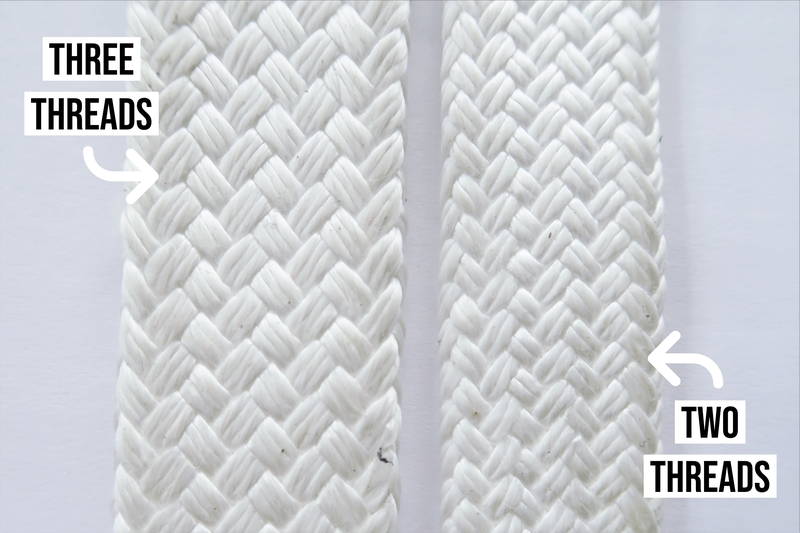 1x1x32M with a thickness of 0,7mm) versus heavy duty covers with x2 twisted yarns (e.g. 1x2x32M with a thickness of 1,2mm). 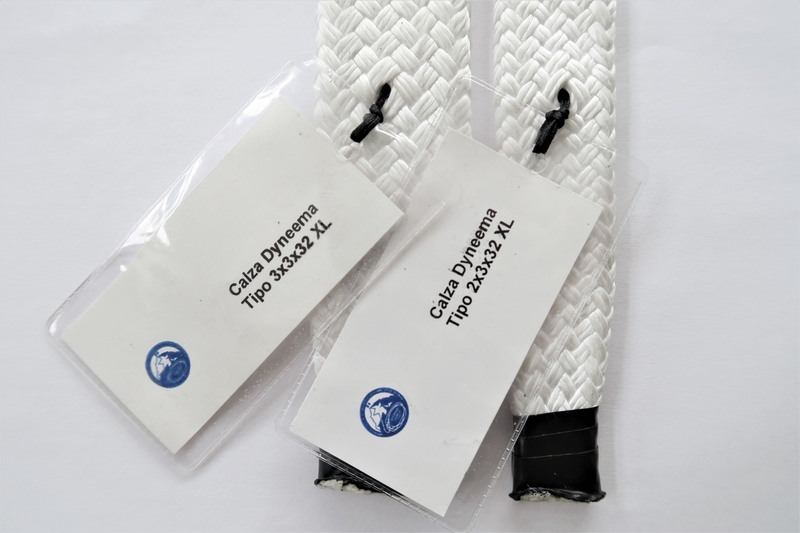 We sell a lot of 1x1x32M up to 1x1x48L, which are the most common lightweight Dyneema® covers for recovering halyards on boats between 30 and 50ft. Robline are a very big rope manufacturer with a truly global reach and they have distilled all their knowledge and experience down into a small, simple range of just three Dyneema® Cover sizes, for cores from 5 – 15mm. Don’t fret! To make choosing the correct Dyneema® Cover easier, we have designed a selection guide to help you make the right choice. Still confused? You can always contact us at support@upffront.com and we would be pleased to guide you! Use the selection guide to find your desired Dyneema® Cover, or explore the entire range.